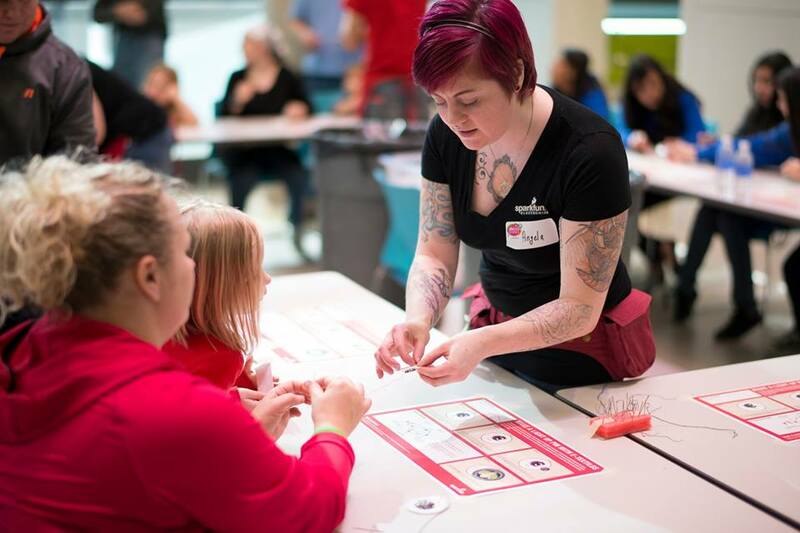 Join Angela on Saturdays from 1-3pm during open hours at the SM Energy ideaLAB at the Denver Central Library as she works on fun soft circuit and electronic craft projects. Angela is the Maker-in-Residence for April and May and her residency will culminate in a workshop on May 25th. Visit the ideaLab website for more information.